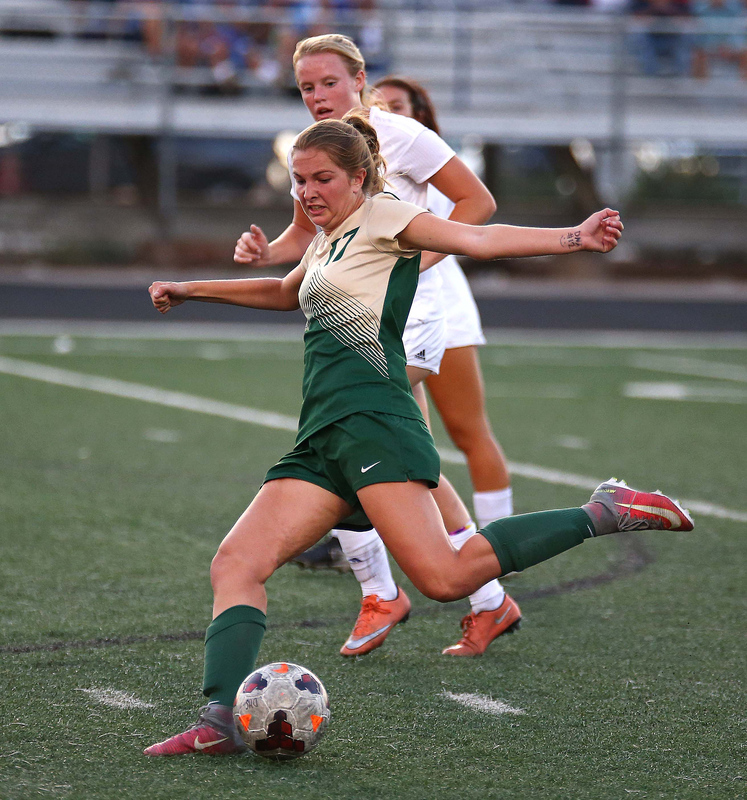 ST. GEORGE – The Region 9 coaches have made their decision on the All-Region 9 girls soccer teams, as they are stacked with talent. Brindley’s best game came in the final regular-season match against Hurricane in early October. Brindley scored in the first 10 seconds of the game, and finished with three goals total in the game. Brindley also had multiple games when she scored multiple goals. The 16 goals on the season put her in a tie for fifth place in 4A for total goals scored. With one more season to go in her high school career, Brindley will be the main focus of every team the Lady Warriors face off against next season. Flyers defender Delaney Story is no surprise on the list. She was the anchor for the Dixie defense and helped the Flyers give Snow Canyon a challenge for the Region 9 title until the final day of the regular season. Story went down against Hurricane late in the season, and her role showed after she went down. The saying, “You don’t know what you have until it’s gone,” applies well to Story. Lineup changes may have cost Dixie the region title, but the Flyers will be super competitive next season, returning most of their players. Laws is no surprise on the list either, scoring all 12 of her goals in region play. Estridge has a good chance of having a unanimous vote from the coaches. 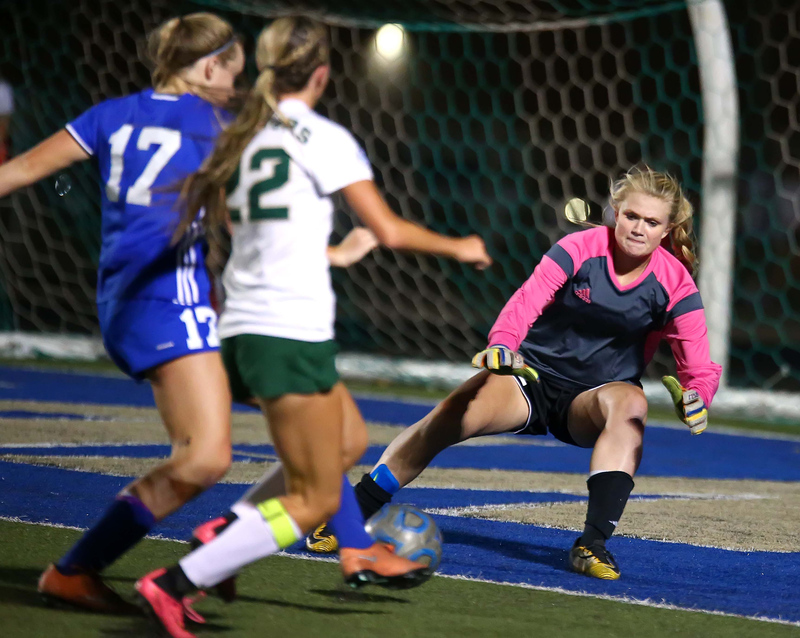 According to Maxpreps.com, Estridge recorded 137 saves this season, putting her in second place in the state, and first place in 4A by 35 saves. Having no defenders from Desert Hills may have been the biggest snub on the first team. The Thunder had the best defense in Region 9, only allowing 12 goals in region play. The Thunder also only lost their three region games by one goal each. Smith probably would have made the first team had she not gotten injured during the year. Smith appeared to be the favorite to win Region MVP after a hat trick against Desert Hills early in the season. Of the nine goals that Smith scored on the season, six of them came before the injury. 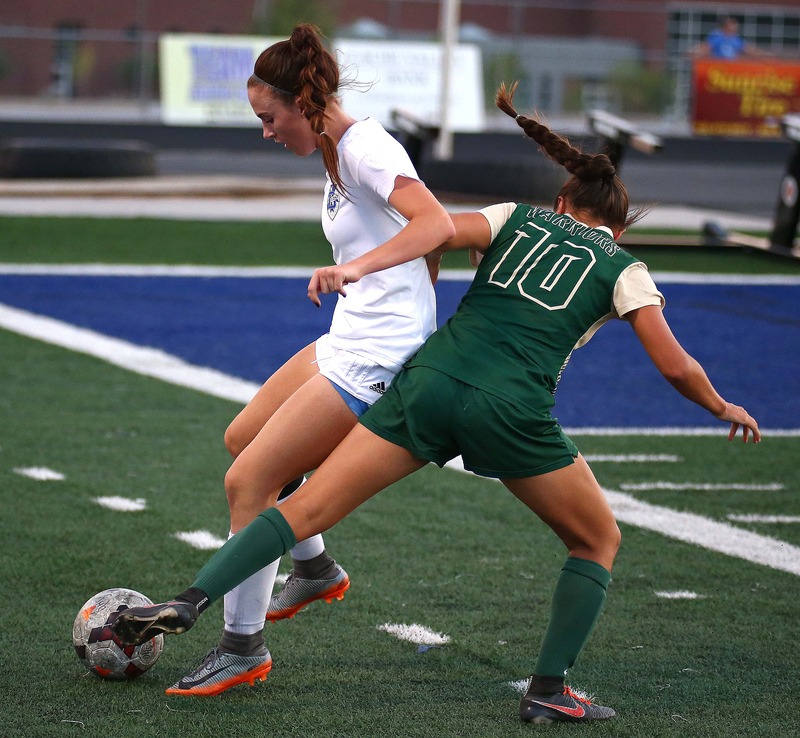 She was also visibly bothered late in the season, including having to come out of the first-round playoff game against Juan Diego after scoring the go-ahead goal. 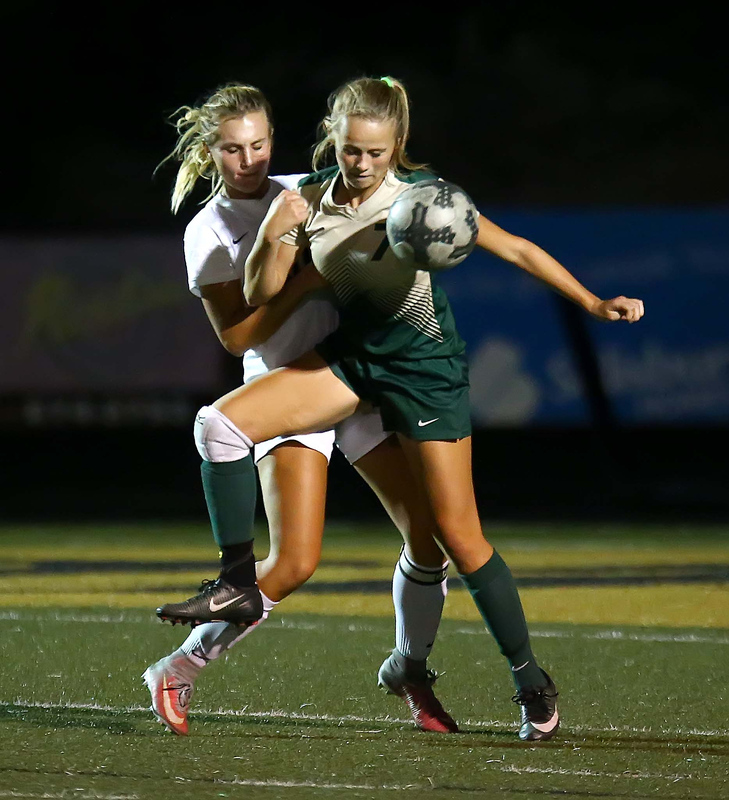 “Heidi just does a great job of being in that position when those throw-ins come and has a good knack of knowing where to be and knowing when to put that touch on the ball to get it through.” Kunde said after an early season win over Desert Hills. Although the Falcons only won one region game, Hinck was a big part of keeping the games close. She made several key saves in a tight loss to Snow Canyon. She was also able to score one goal this season against Pine View when she kicked a two-hopper the full length of the field into the other goal. Barben was also a player who could have made the first team. Being only a sophomore, Barben should improve during the offseason and make a run at that first team spot for her junior season. Two players were not listed that had excellent seasons as well. Lady Warriors goalie Megan Rodgers and Falcons forward Morgan Haag. Although Estridge and Hinck deserved their spots, Rodgers should only be a vote or two behind. Rodgers was a big part of the Lady Warriors push into the 4A semifinals. Being a sophomore, Rodgers may have a spot in next year’s teams locked up with another great season. Haag was able to score 11 goals on the season, but may have been helped by a fantastic preseason. She scored six goals against North Sanpete and three against Beaver. Haag scored her only two region goals in a loss to SC and win against Pine View. Although Haag only scored twice in region play, it may have been because defenses were keeping a closer watch on her. Haag is a junior this year and will have a chance to get into the All-Region teams next season. Kurt grew up in Pleasant Grove, Utah near Provo and attended Utah Valley University for two years. Kurt now lives in Cedar City, Utah and is a current student at Southern Utah University studying Communications with an emphasis in Media Studies. Kurt was also part of the sports broadcasting program, PGSN, at Pleasant Grove High School.